These 3 Funds Are Headed for a Crash. Do You Own Them? The 2019 rebound has done a lot to revive most people’s portfolios. But there’s a new trap you need to dodge as the market ticks up: the risk you’ll stumble into an overbought stock (or fund). But don’t take that to mean stocks are pricey—far from it! The S&P 500 is barely up from the start of 2018 and still far from its all-time highs, which is ridiculous when you consider last year’s near-20% earnings growth. So it’s pretty easy to see that stocks are still ripe for buying. But there is one sector I am worried about—and it brings me to the first of 3 closed-end funds (CEFs) I want to warn you about today. Trouble is, that growth isn’t supported by earnings! In fact, profits in the sector have actually fallen nearly 6%, according to FactSet. And the CEF I’m going to tell you about now has actually run up even more than XLE, despite massively underperforming the market. 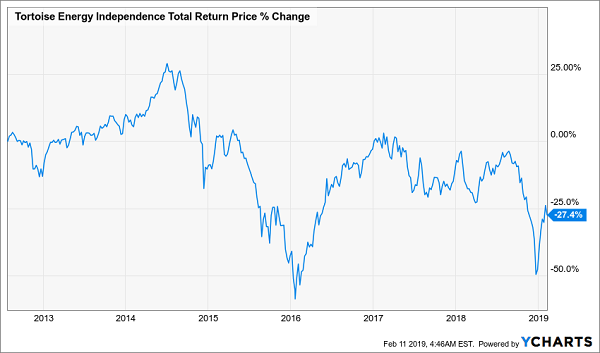 That would be the Tortoise Energy Independence Fund (NDP), which has soared a shocking 37% since the start of 2019. Investors holding this fund probably feel pretty smug about that gain, but they shouldn’t. While NDP’s market price is up big, its NAV (or the value of its underlying portfolio) is up just 7.1%, a fair amount behind XLE’s gain. The main reason for NDP’s meteoric rise is classic yield chasing: many are enticed by this fund’s astronomical 18.7% yield. But that is a mirage; NDP is currently under-earning its dividend, which means the fund will need to cut its payouts or see its NAV continue to circle the drain. For this reason, NDP is my No. 1 must-sell CEF right now. As a result, PGP’s premium to NAV is now an absurd 56%, which means it’s positioned for a crash anytime now. If this sounds familiar, it should. 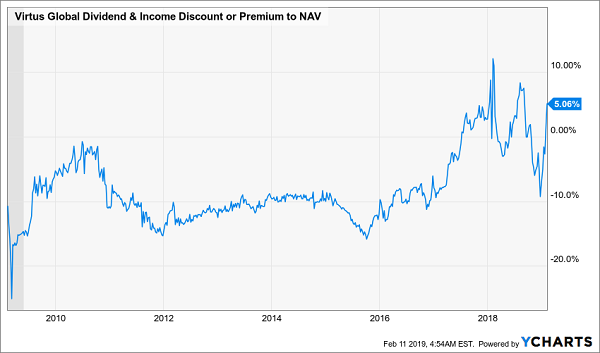 I’ve written about PGP’s huge premium many times before, noting how easy it is to swing trade this fund for 40% annualized gains if you buy it when its premium gets too low and sell when its premium is too high. 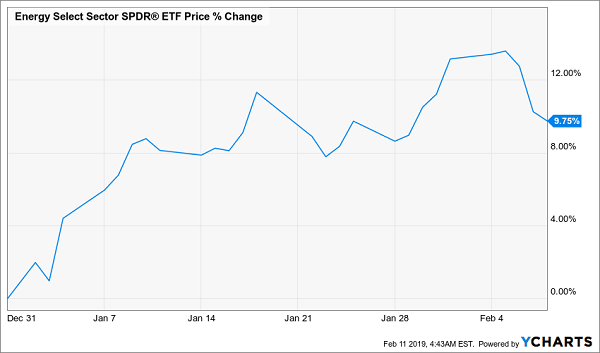 Right now we’re at a clear sell point, just like the one I spotlighted in August after recommending investors play PGP for a short-term trade in June. Investors who followed that advice bagged a 39% annualized return in less than three months. Now we’re at a crest in the wave, so if you have PGP in your portfolio, this is the time to ditch it. 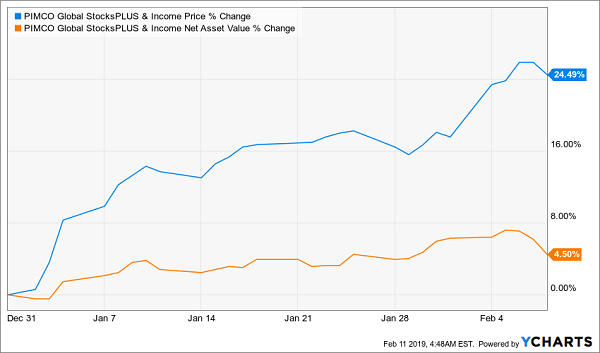 One more fund we need to be wary of: the Virtus Global Dividend & Income Fund (ZTR), which did something unusual just over a year ago: it traded at a premium for the first time ever. Although that premium disappeared during the recent market crashes, ZTR investors don’t care. 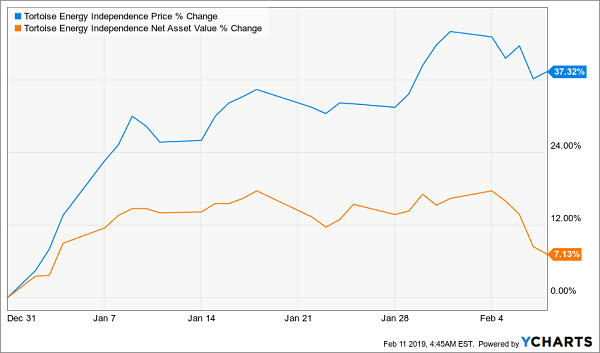 They’re buying at a 5.1% premium for no good reason, since ZTR both underperforms its peers and the Vanguard Total World Stock Fund (VT) over the long haul. 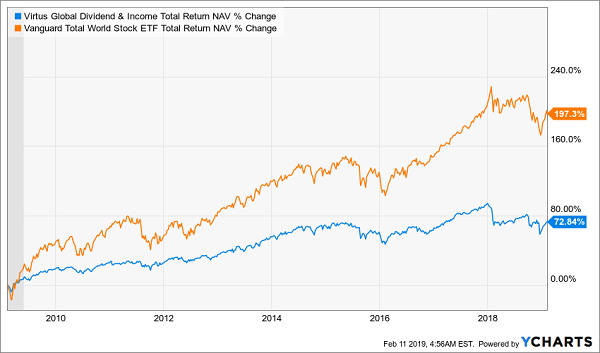 Since ZTR’s NAV is up a measly 4.2% in 2019, while its market price is up a shocking 18.6%, it is clearly overbought—which means it’s time to walk away. I don’t know why anyone would play around with looming disasters like ZTR, PGP and NDP when the CEF market continues to throw us bargain after bargain. In fact, I’ve got 18 of the very best deals in the space waiting for you now! As a group, these 18 retirement lifesavers throw off an incredible 8.5% dividend! So a $500,000 investment in the “average” fund in this elite “18 pack” would hand you $42,500 in dividend income this year alone. These funds are the 18 buy recommendations in my CEF Insider service’s portfolio—and I’m ready to GIVE you instant access to all of them right now when you “kick the tires” on CEF Insider today, with no risk and no commitment whatsoever.